echo "No Volume on disk $disk"
Create a file OffLineDisks.txt on the C:\ drive with the ID of the disks currently offline. 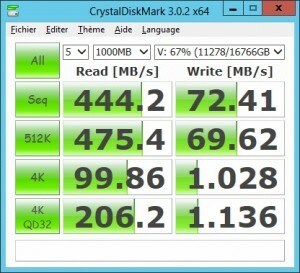 I presume that all disk offline are used by FlexRaid! Bring online each of those disks. Assign a letter to the volumes on those disks. I presume that there is only one volume per DRU and none on the PPU. Type 'Off' to set offline the disks listed in the file OffLineDisks.txt created previously. Chkdsk was executed in read/write mode. # file records processed. File verification completed. # large file records processed. # bad file records processed. at offset 0x# for 0x# bytes. An unspecified error occurred (696e647863686b2e 1324). In the past, I have been using the onboard RAID controller of my Home Server's motherboard to secured its data, a RAID 5 with 6 HDD to be more precise. But I was in a urgent need for a new solution. 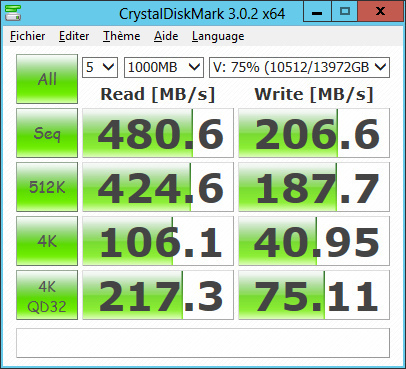 if I would be out of space, new disks could not be added to easily in the existing RAID array (mainly due to lack of space in the case). Also replacing existing disks with larger ones would be quite dangerous as duplicating the whole array before such a risky upgrade was not possible (lack of backup storage). After a power failure or a BSOD, the RAID was checked (for about 12 hours), making all read access veryyyy sloooooooow. For the Home Server Hardware part, including the case, see here. Its centralized File History backup functionality. In addition, if the server dies, a disk moved into another PC will be readable but not writable, except if this other PC is also running Space Storage and all disks are moves. That could be an issue if the dead server cannot be quickly replaced. It runs on Windows Server 2012 x64 (On the opposite, FreeNAS or Unraid for example are integrated with their own OS - linux based). It has a nice Web UI (based on extJS like the DSM of my Synology) which make remote management easy and comfortable, although IMO there is still place for improvement. It has supports for either a RealTime protection or a Snapshot mode (I.e. : RAID is nightly updated on schedule - not slowing down read/write access during the day). 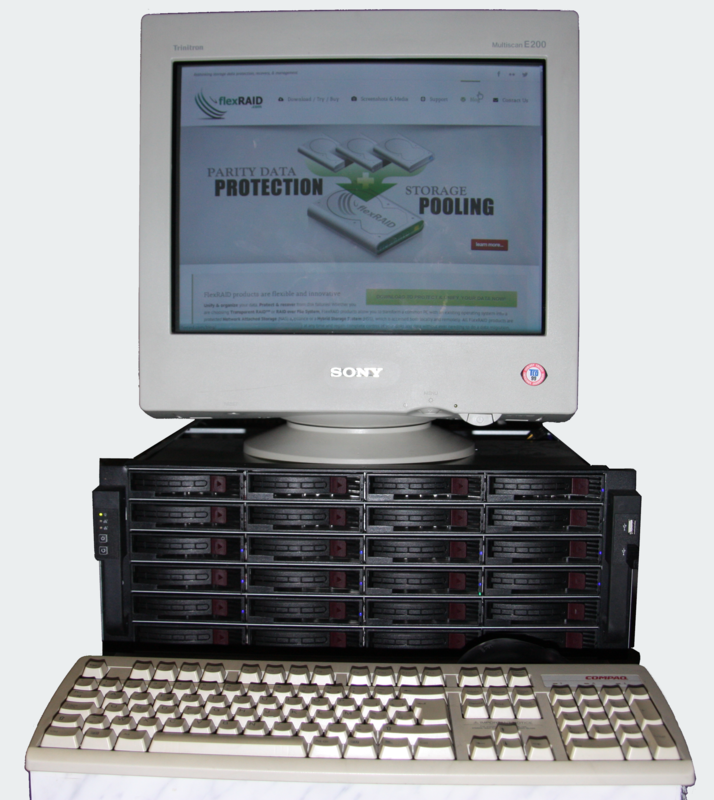 Disks containing data can be added in the Pool at any time. Disks can be temporarily removed to be accessed from within another machine. If Snapshot mode is used, data may be modified before re-plugging the disk in FlexRaid. Notice: If data are modified, they will only be protected if the disk is re-plugged in FlexRaid and if a the RAID is updated. Disks temporarily removed can be re-plugged anywhere in the machine. FlexRaid does not rely on the physical location but on the disk mount point which is "memorized" on the disk itself. It supports multiple simultaneous disk failures (it implements several type of RAID) depending on how many disks are assigned to store the recovery information. Disks can be replaced with larger ones. 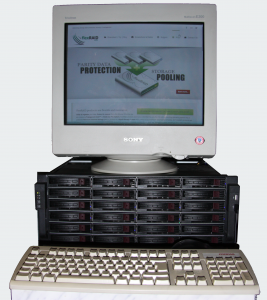 As far as the FlexRaid configuration is backuped, the OS can be re-installed from scratch; the recovery information won't have to be recomputed and the data are safe. It has support for S.M.A.R.T monitoring with email alerts (although configuring S.M.A.R.T is not integrated in a Wizard and can require some research). On my own, I had a lot of issues while testing the product - mainly because I did a lot of operations like creating/deleting pools, adding/removing disks, sharing/un-sharing folders, stopping/starting the service, etc... But also because Murphy was at the party: after many various issues followed by a complete re-installation of the server, one disk used to store FlexRaid's parity data started to die. If you intend to test it, I really recommend to do it in a VM with virtual drives that can be easily re-staged. FlexRaid has a Trial of 14 days. HDD can be of any size, but DRU have better be of the same size. 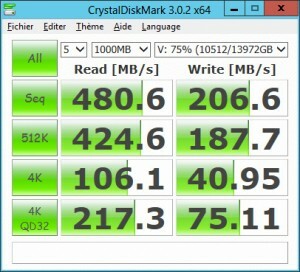 One parity disk (named a PPU in FlexRaid terminology - they contain the recovery information) compound of 2 HDD (2TB + 3TB). It has better be larger because in case of bad-sector on a HDD in the PPU, FlexRaid will be out-of-space and fail to update the parity data. It's recommended to have one PPU per 3 DRU. PPU and DRU created with the wizard (Cruise Control) instead of the expert mode. 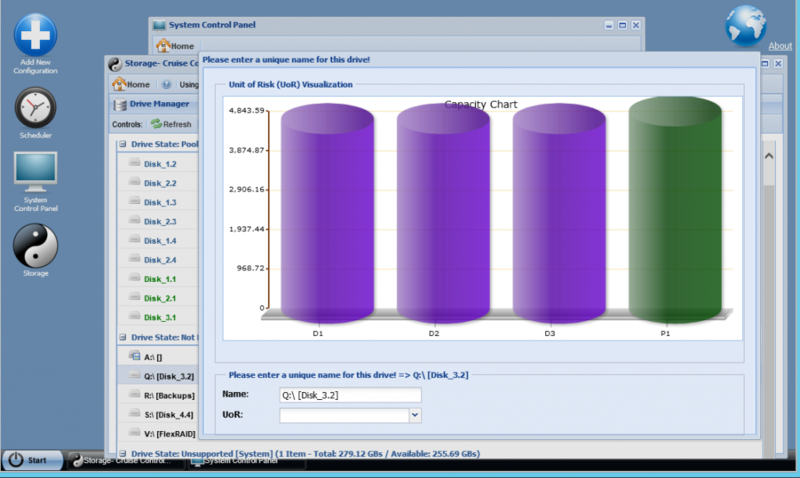 To keep data grouped if by any chance the disks must be moved into another PC during DRP. As anyway, data on the Home Server does not change often at all. Automatic start-up of FlexRaid storage pool 15" after the Server boot in "[your configuration] > "Preferences and settings"
A Scheduled Task to Update the RAID (Parity Data) every day at 23:00. A Scheduled Task to Validatethe RAID (Parity Data) every week at . The Validate task does both change detection along with datarot (silent data corruption) detection through data checksum valiation. A Scheduled Task to Verifythe RAID (Parity Data) every month. The Verify task does bit for bit verification of the RAID. To be safe however, and based on the amount of disk I have, someone from FlexRaid told me I should either use two PPU of 3TB or possibly add one PPU of 5TB. Doing so, I will double the security level (the RAID could survive after 2 simultaneous disk failures) while only loosing ~6% of space (1TB). For sure, RAID updates will be slower as 2 PPU will have to be updated. But based on my experience, it's really not that slower. It takes about 1 hour per TB of Data. Here is a benchmark of accessing data in FlexRaid's pool configured with one 5TB PPU and 3x5TB DRU (And I got the same results for two 3TB PPU and 4x3TB DRU...) Clearly, FlexRaid with SnapShot mode does not really impact the performances... (Actually, one the Pool features has an impact). For information: it took a little bit less that 13 hours to compute the parity for about 11TB of data in this 15TB pool. Drives used by FlexRaid may not be used as target for Paging or Shadow Copy. However, Shadow Copy can be used as far as the volume used as target for the Storage Location is on a dedicated drive outside of the Pool. Via the Dsik Management node in the Computer Management: Properties > Shadow Copies Tab > Settings button > Storage Area (Click details) (to be completed). Instead FlexRaid proprietary Recycle Bin can be enabled in the Snapshot mode only (there is no such support for Real-Time mode): Configuration > Preferences and Settings > Advanced Properties : Enable Recycle bin mode: true (and Save). FlexRaid web UI is not fully compatible with Chrome. Some expansible panes of this UI collapse and expand for ever one accessed. The logs are full of security errors. It's simply due to the Web Client UI session which expires... It's not fatal. I always experience issues when trying to remove disks from PPU or DRU. The only solution I found is to delete the configuration and create a new one. This folder is only accessible by the System account which is the account configured to run the FlexRaid Service. After deleting a "configuration" or uninstalling Flexraid, this folder is still there. Start Explorer, click on the "View" menu and select "Options" (on the extreme right). There, go to the "View" tab and tick "Show hidden files, folder and drives"
Uncheck "Hide protected operating system files (recommended). Once the folder is visible, you can change the Security and grant full access right to the "Administrators" group. Possibly use this great tip to also easily take back the ownership with a contextual menu (works only on files/folders. not on drives). Hidden files are not protected as ignored by FlexRaid. Close the folder Properties window if already open in Windows. Navigate to the "Home" menu and back to "Server Shares" in FlexRaid UI. Back to the folder Properties > Advance Sharing, the changes should now be visible. Don't forget that you need to use a domain user to access the shares from remote machine. If you try to access them from a PC not joined to the domain, you must provide a login like "<domain>\<username>". Also remind that Server 2012 Essentials is missing "HomeGroup" support. When using a "Snapshot" mode, data are in great danger as soon as files start to be modified and as long as the RAID is not updated. Indeed, as some data are modified, the information on the PPU may not be used anymore to restore files in the same range of address (?) in a DRU which would crash. Concretely, files restored using a not-up-to-date PPU will be corrupted. There must be at least 10GB of free space on each disk going to be added in the Pool (As DRU). Check that the Reserve is at least 50GB or more in the Configuration > Preferences and Settings > Run-Time Properties > General Properties: Reserve. This is the default when using the Cruise Control mode. After a server crash, a Reconcile is required (Similar to a Windows Disk Scan). Always stop the storage pool through the Web UI before restarting the FlexRAID service or your OS!!! 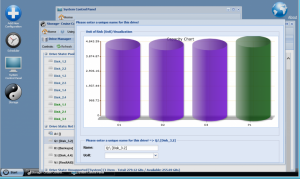 This can be solved using a Shutdown Task to be created in the Local Group Policies. See the script posted as comments. Increase the WaitToKillServiceTimeout Registry key value to 300000 (it's 5000 by default; i.e. Windows systems will kill the service in as little as 5 seconds which often does not leave FlexRAID with enough time to properly close up it resources). Never write directly to the "source" drives but only through the pool as Explorer writes silently data on the disks. It means that a drive may never be temporarily removed from the pool, accessed from within another PC (even for "READ" only operations) and re-plugged later in the pool. There is no Recycle Bin, meaning that data are deleted permanently. And unfortunately, Shadow Copies can NOT be used on the Pool... So it cannot be used either to restore deleted files. Actually Recycle Bin must be disable on all disks participating in the pool as well as on the pool itself. And that must be done for all accounts connected on the server. On the Start Screen, type and run gpedit.msc. Expand User Configuration - Administrative Templates - Windows Components. Right-click the entry "Turn off the caching of thumbnails in hidden thumbs.db files" and choose Edit. Log off and back on again (or reboot) after making these changes. Actually the options "Restrict Thumbs.db" and "Restrict Desktop.ini" can be used in the Console for that purpose, but it is useful only when using the Real-Time RAID in Expert mode and if frequently browsing the source drives. Indeed, although we are not changing anything on the source drives, Explorer will actually update the thumbs.db and desktop.ini files as we browse. There are implications though with selecting those options as Explorer will no longer cache your thumbnails or remember certain folder view preferences. Parity data are only updated when accessing the drives through the Pool. If data are modified directly on the source drives, you will have to fix that by running the Reconcile task in FlexRaid.